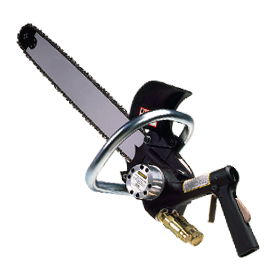 Offering the highest power-to-weight ratio of any chain saw on the market today, the CS05 and CS06 features an inter-locking trigger, hand guard, low kick-back bars and chains and no chain coasting when the trigger is released. The CS05 has a flow range of 4-6 gpm (15-23 lpm) while the CS06 has a flow range of 7-9 gpm (26-34 lpm) to suit varying hydraulic circuits. 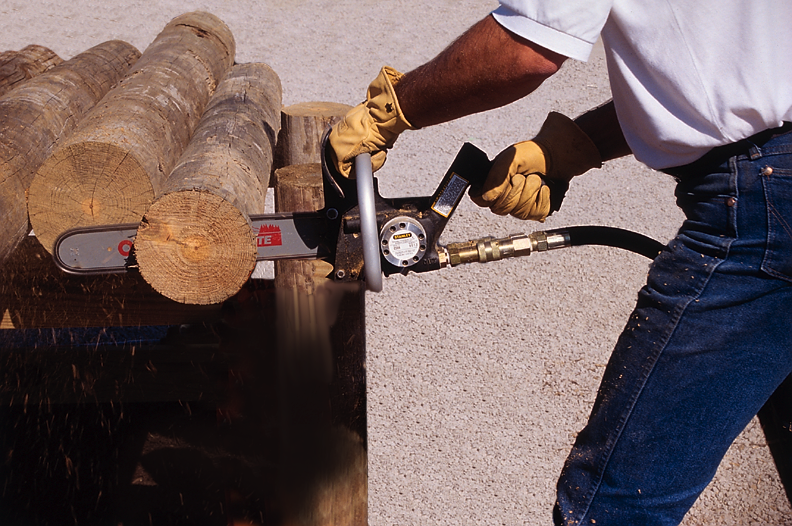 The CS05 and CS06 weights in at under 7 pounds but is capable of 8 to 10 horsepower of cutting power, producing almost 2x the power of a gas engine chain saw with half the weight.